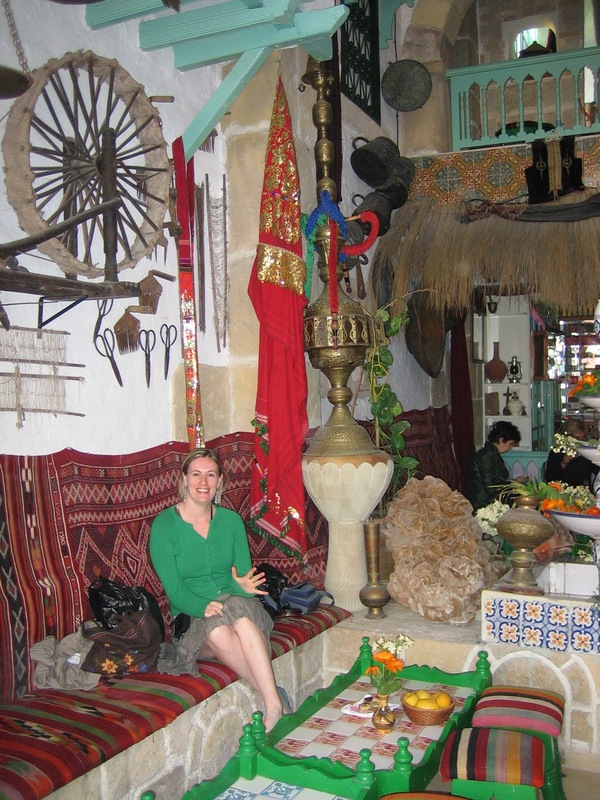 Retail therapy in the souks of Sousse | Hand Luggage. There comes a point during any holiday, when any traveller, no matter how hardened, sucumbs to the lure, the joy, the shiny marvellousness of a spot of shopping! 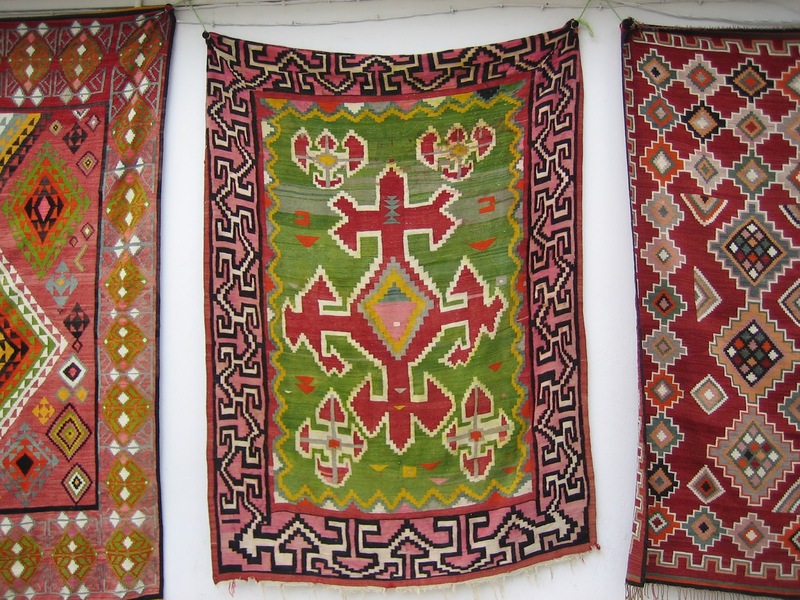 Here’s a few colourful pics of some of the sights on offer in the hectic souk of Sousse, a Tunisian coastal city. 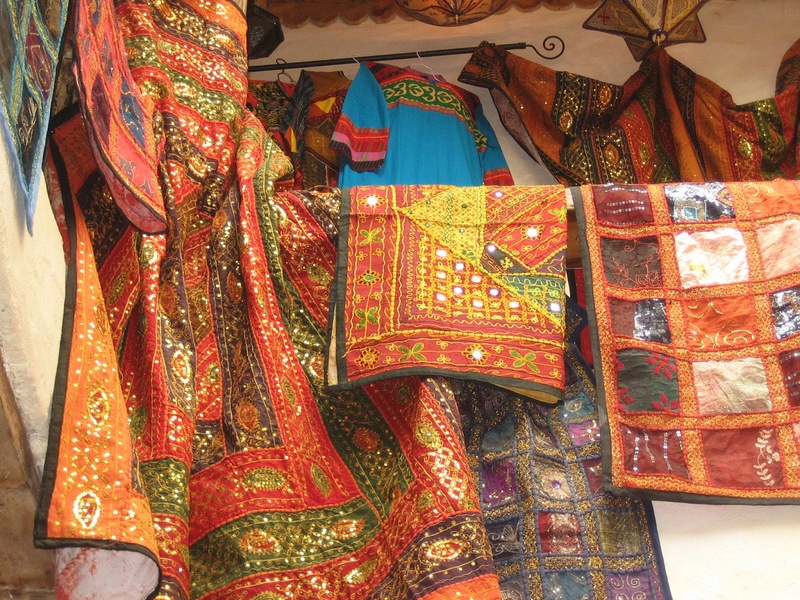 Colourful textiles and clothing are a feast for the eyes and the wallet! 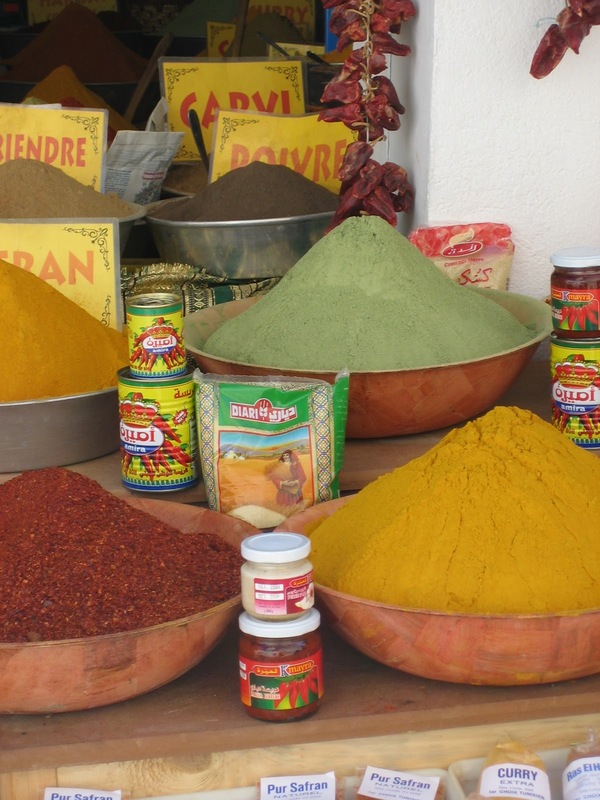 Piles of colourful spices and herbs entice your eyes and your tastebuds as you pass by. Carpets hang out on white washed walls catching the sun’s last rays. 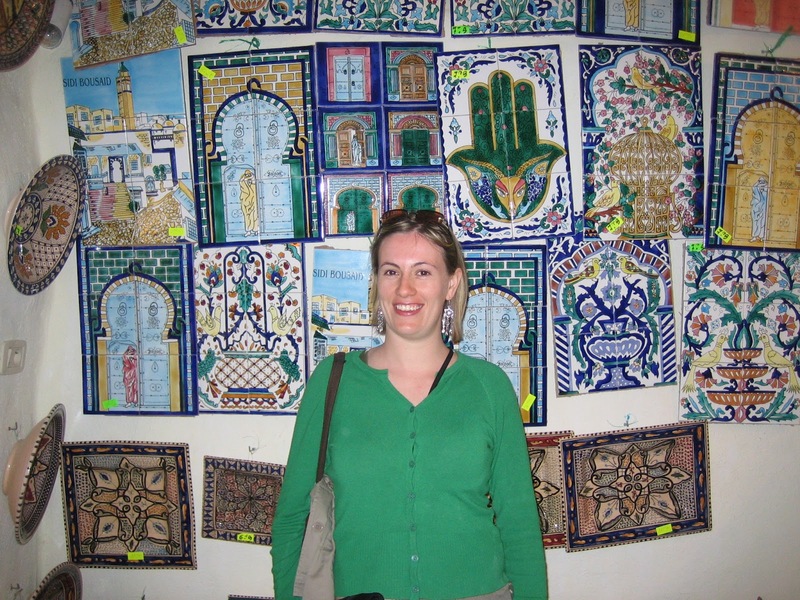 Looking a bit goofy in front of gorgeous painted tiles, a traditional art form of Tunisia, features the Hand of Fatama, a favourite subject that brings good luck. And after a long day of browsing the shops, haggling and being badgered by shop keepers, what better than a glass of mint tea in one of the “authentic” Tunisian cafes in the town. I suspect this one is rather more stage managed than the actual establishments that the locals frequent . . .